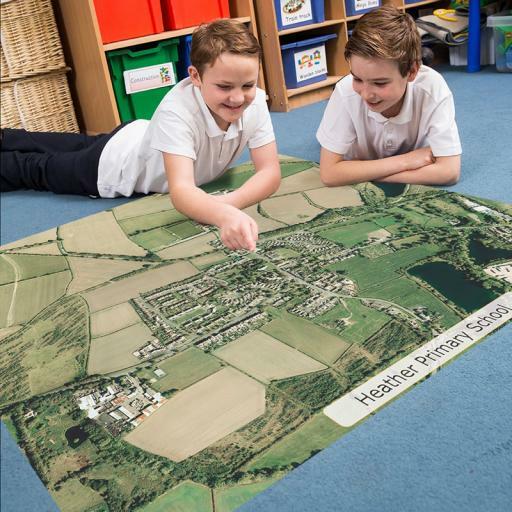 Printed on high-quality, hard-wearing PVC, this floormatfeatures a detailed aerial photograph or centred on yourschool or area of choice. Use on the floor, desk or hang on the wall. Rolls upfor easy storage.